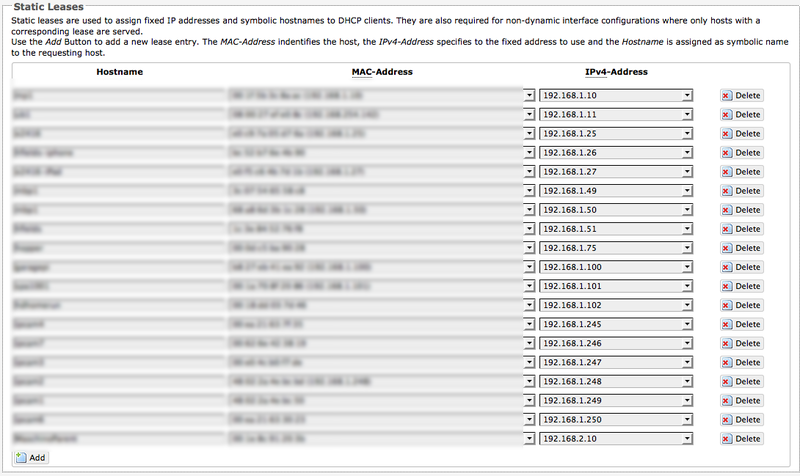 So this time I decided I didn't like the way the DNS and DHCP tab displayed my static leases and the current leases.. I did this in two parts... part number 1 was to modify the lease status page thats included a few different places so that the leases are sorted by ip address the same way I did the other page. This accomplishes the first part... the second part I used a php script to sort my /etc/config/dhcp by ip address, so that it's listed in form. (Yes, I could have modified the LUA script that load the dhcp leases from the file, but then when it's written back, it'd be reread from the file. Seemed to me like a whole lot of work to rearrange that file when that's all I really cared about. 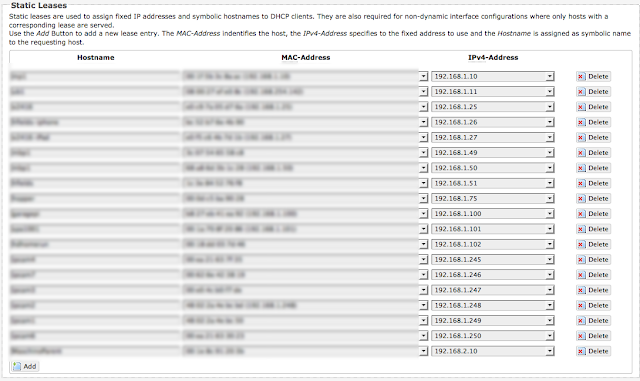 Yes, I know it's stupid, but I like knowing what ip addresses are free, and it's easier for me to see that if my static leases are in order! Hope this helps someone else' ocd. 700 ipads in the district, and only one ios6 update to do. Remember the Milk -- Nah, how about Gmail?